What kid hasn’t dreamed of a huge chocolate bunny to call her own, a massive hunk of melty bliss to be consumed in one of several equally messy ways. I liked to break off the head first, then eat shards down the sides. My daughter prefers the ear-sucking method. Web-sites are devoted to bunny-eating controversy. So imagine my horror when I came upon Snapsy, the snap-apart chocolate bunny. We can thank some horrid committee at Hershey’s for dragging the hallowed chocolate bunny into the food wars. You know the story: obesity, big food, sugar kills, eat your kale. 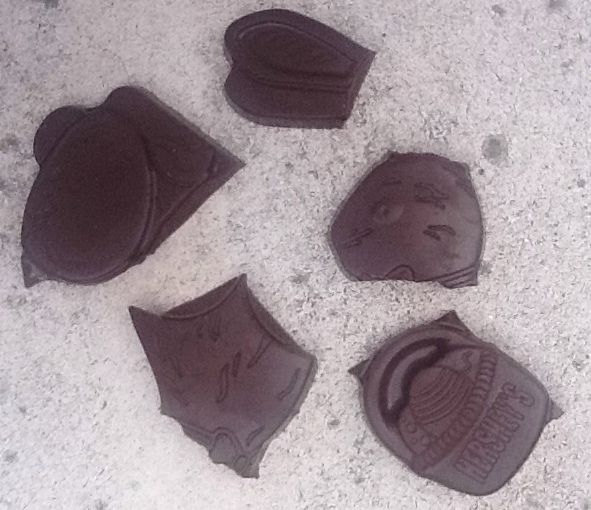 Snapsy is Hershey’s answer to the food police. 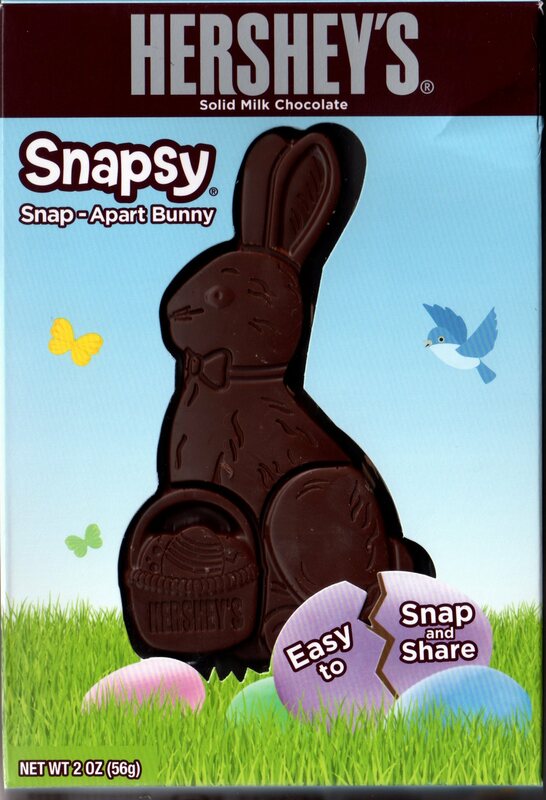 The package promotes the bunny as “easy to snap and share,” but seriously, who shares Easter candy, especially bunnies. This travesty has nothing to do with sharing. I can just imagine how it went down in the marketing meeting: mothers are going to love this! They can give Junior this whole bunny, then faster than you can say “bait-and-switch,” they can break it into sensible portions and morsel them out one at a time. Just look at how sad and ugly little Snapsy has become compared to his artful 3-D cousins. Snapsy is the chocolate bunny reduced to a flat, lifeless form whose contours serve the purpose of portion control and fun-sapping. I’m all for most of the new food orthodoxy–except when it comes to candy. 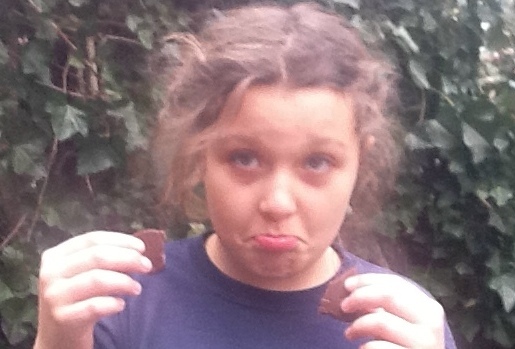 Listen: candy is supposed to be FUN! There should be room for silly, crazy, excessive, pleasurable, messy, kooky candies, especially when it comes to giant chocolate bunnies. Entry filed under: Children and Candy, Chocolate, Holidays. Tags: chocolate bunnies, Easter, fiascos. Beer and Candy, yet again	Is Snapsy a Spy? Please tell me this is an April Fool’s joke….Thank you Professor….